White House national security adviser John Bolton is not ruling out a "Libya model" of denuclearization for North Korea. The statement came from Bolton on Sunday, when he made multiple television appearances to address the recent inter-Korea summit. On Face the Nation, Bolton told CBS' Margaret Brennan that the Trump administration is looking into the Libya model of 2003-04. Analysts have said denuclearization helped undermine Gadhafi, and North Korea has often claimed Libya is an example of why the reclusive regime would never opt to denuclearize. But as Kim Jong Un turns a new leaf, Bolton said Washington will consider different options. 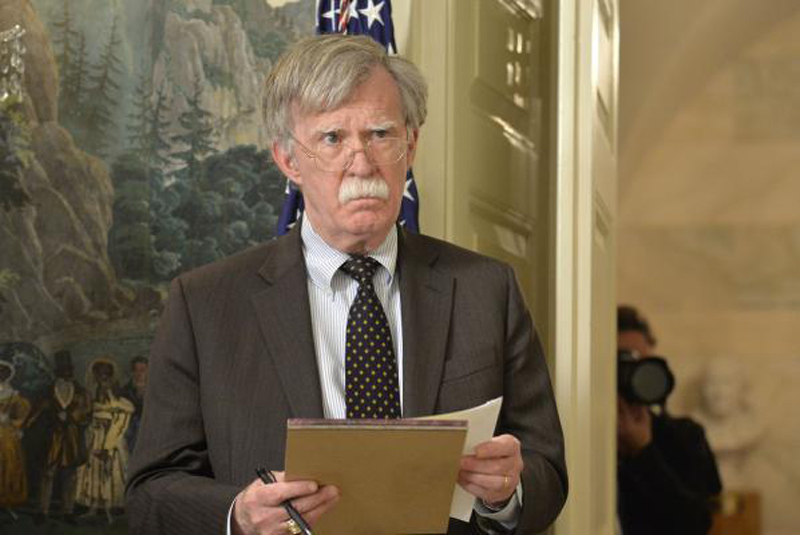 If Kim "has made a strategic determination that North Korea would be better off without nuclear weapons, then I think we have got something to talk about, and I think the president would be eager to capitalize on the opportunity," Bolton said. Bolton then added the administration is not naïve. "A lot is going to ride on this meeting with Kim Jong Un," he said. Critics say Bolton's suggestion could sow distrust with North Korea ahead of the Trump-Kim summit. China, a key stakeholder in denuclearization, told former deputy secretary of state Antony J. Blinken the "Libyan model did not inspire confidence in Pyongyang." "I would be very concerned that the combination of Libya and then Trump tearing up the Iran agreement sends exactly the wrong message to Kim Jong Un and undermines whatever hope exists for negotiations," said Blinken, a former Obama administration official, according to The New York Times.